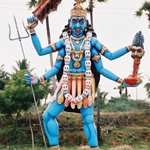 In India, many myths and legends have evolved over the centuries to explain the forces of nature and the workings of the universe and their impact on human existence. 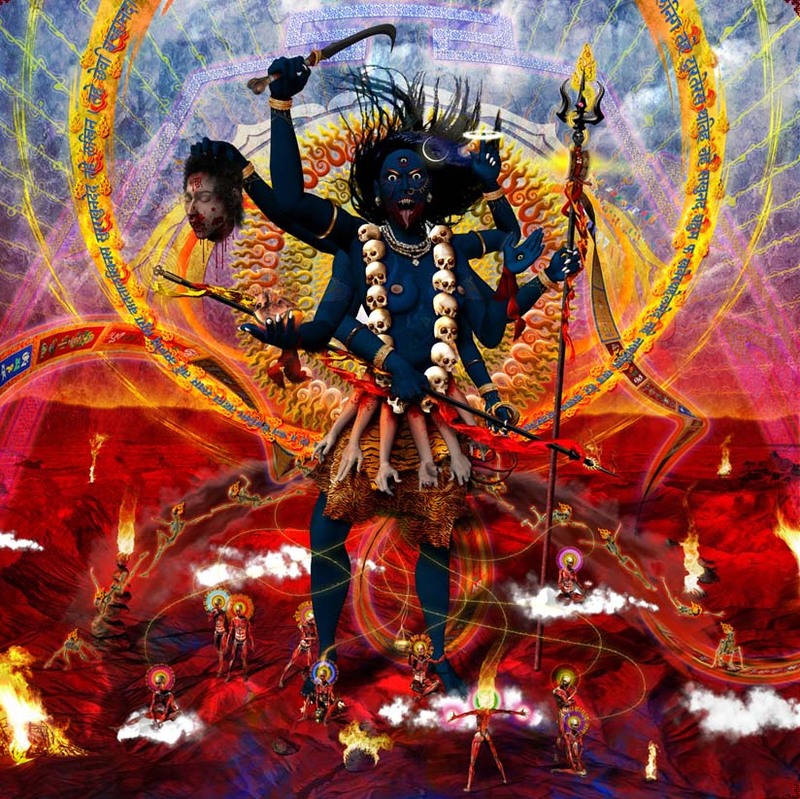 Kali, a terrifying and gruesome-looking Mother Goddess, came to symbolize death, destruction and dissolution. 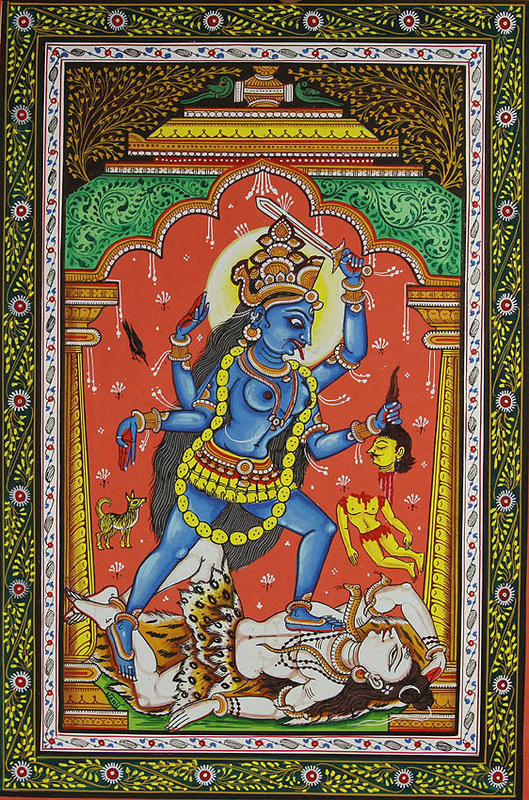 In the Hindu pantheon of deities, she is also the "Terrible Mother", the one whose power threatens to upset the balance of the universe. 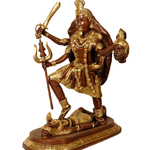 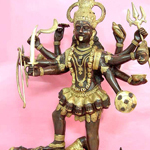 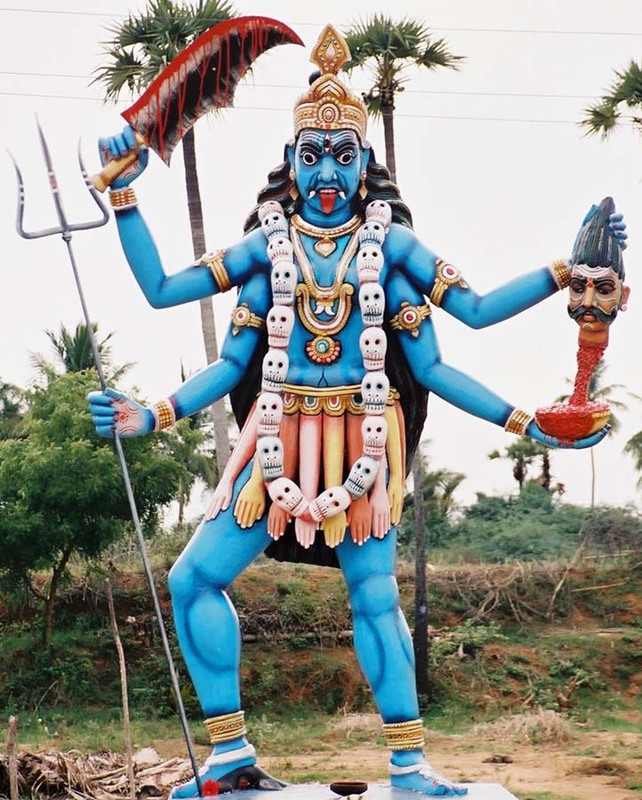 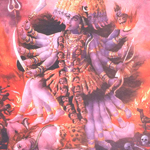 No surprise that Kali became associated with danger and the collapse of order, and that she also came to be associated with criminals and other elements that threatened social stability. 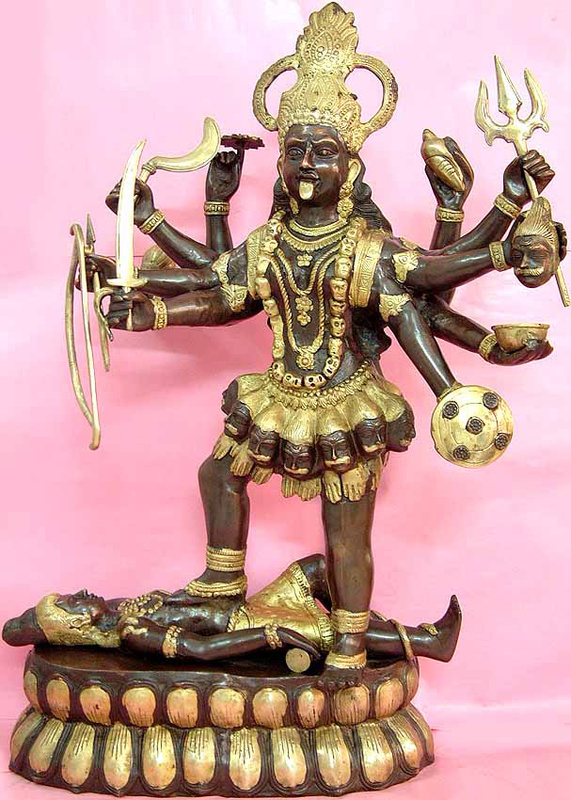 Kali is depicted in sculpture and paintings as jet-black - symbolic of the night that "swallows all of existence". 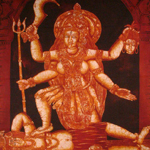 She is shown naked except for a snake coiled around her, and wearing a "garland" of skulls. 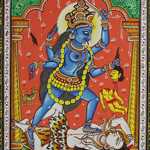 Her most recognizable feature may be her blood-red tongue sticking out aggressively through sharp fangs. 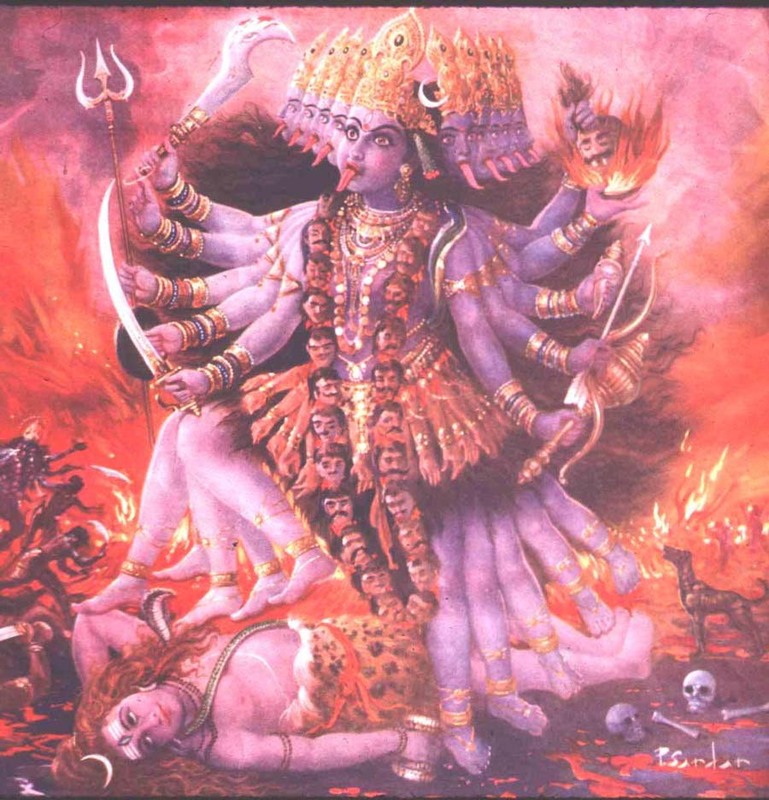 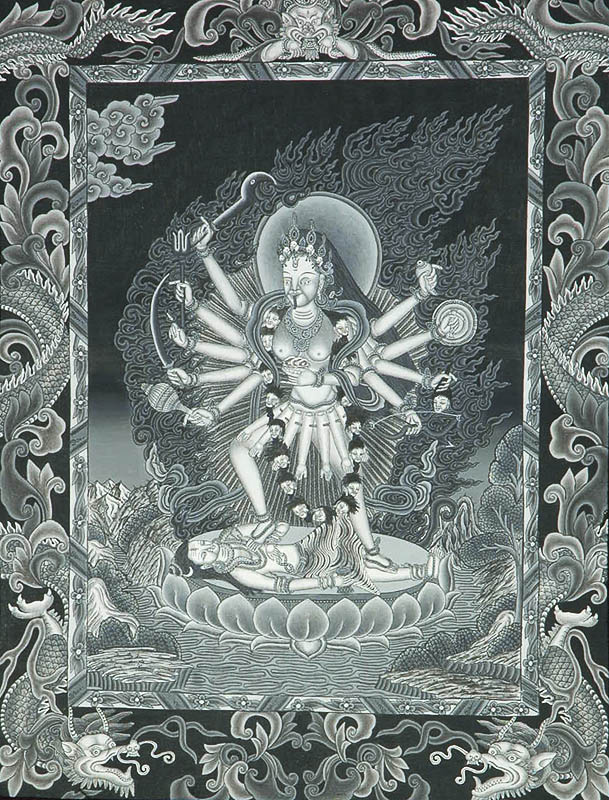 With four arms, she has hands enough to hold a sword and the head of a demon, while making gestures of fearlessness and also of conferring benefits. 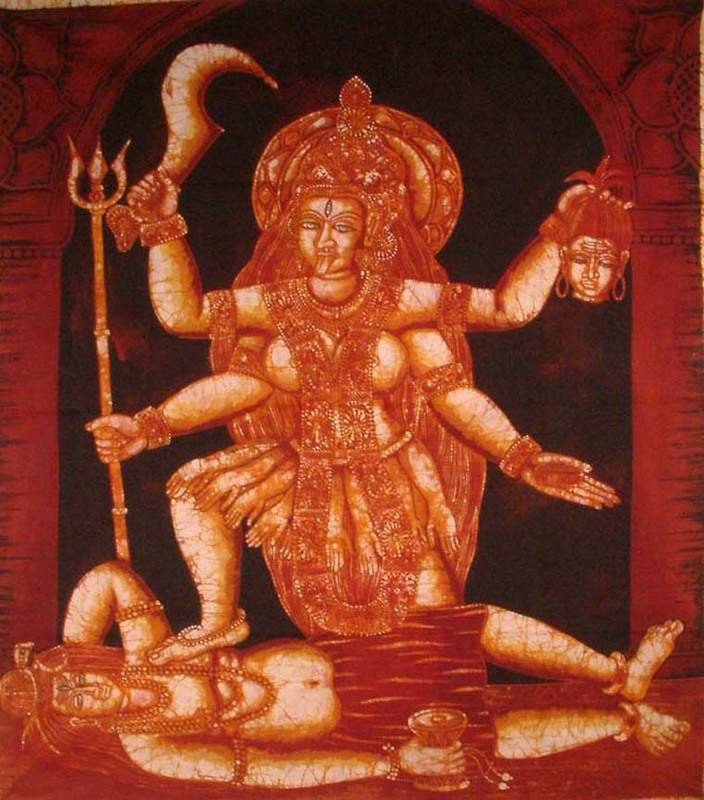 Sometimes children dangle from her ears as ornaments, while on her wrists, serpents serve as bracelets. 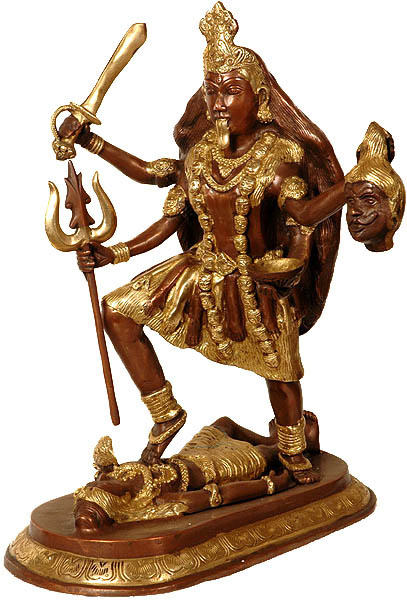 Below you will find a gallery of inspirational images that will help you in your quest of creating the perfect Hindu tattoo.